I have never made a quilt you need sunglasses for… This will clearly be one! 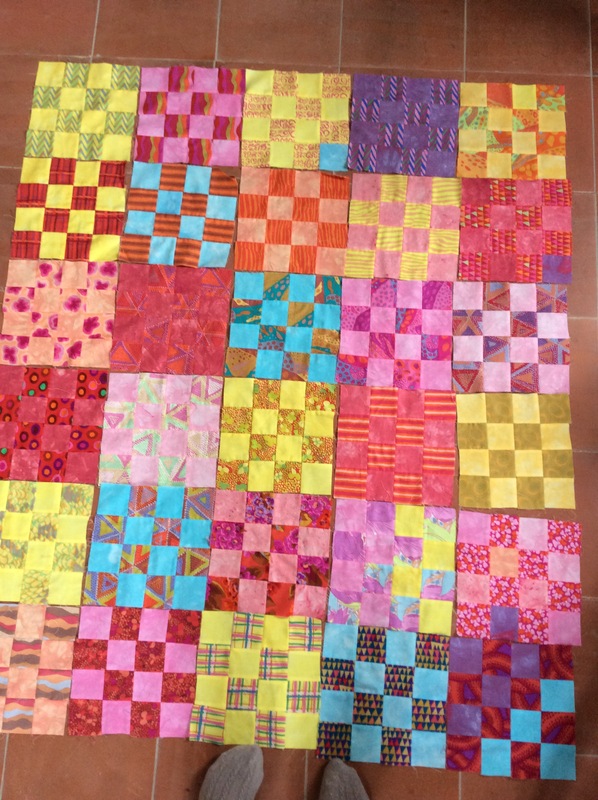 Top almost pieced — here it is all laid out. The fabric between the bright patterned fabric was hand dyed with Procion colours, probably at a quilting retreat a few years back. The fabric is Kaffe Fassett, from a ready-cut pack (badly cut! never really square!). At first, Brownie was so furious to be moved, she paniqued a bit, hissed and tried to bite me, then had a double-take when she realised her precious baby seemed to have been moved with her… but had multiplied. But, very soon, both chicks seemed to know what to do and headed straight under her wing. Mummy instict set in, and she started purring and cheeping at them both. We’ll leave them in the cage overnight, and if all looks well, move then back to the garden tomorrow. 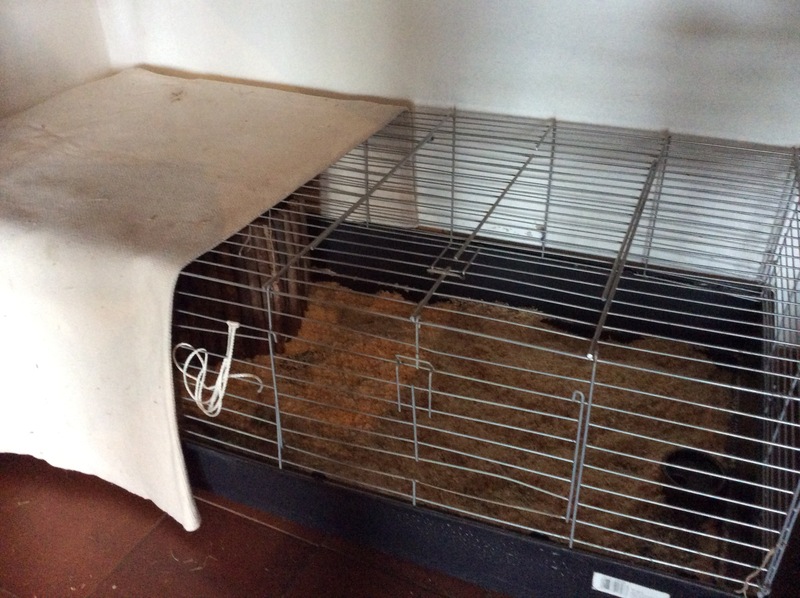 Silence, and some tiny peeping and a purring hen, in the sitting-room now… I do hope it works! Everyone deserves a mummy.